Our girls Willow and Marley are 11 and 8 years old. Flying Qatar Airways our girls would certainly put the Oryx One on-demand in-flight entertainment system to the test. But more on that later! Qatar was an obvious choice for us flying from Melbourne with the flight time is 14 hours from Melbourne To Doha and then 7 hours from Doha to Madrid. 5.5 hours from Belgrade to Doha and 13.5 from Doha to Melbourne. This was a significant drop in the amount of time we would be spending on planes and in airports as our last trip was 38 hours in transit. 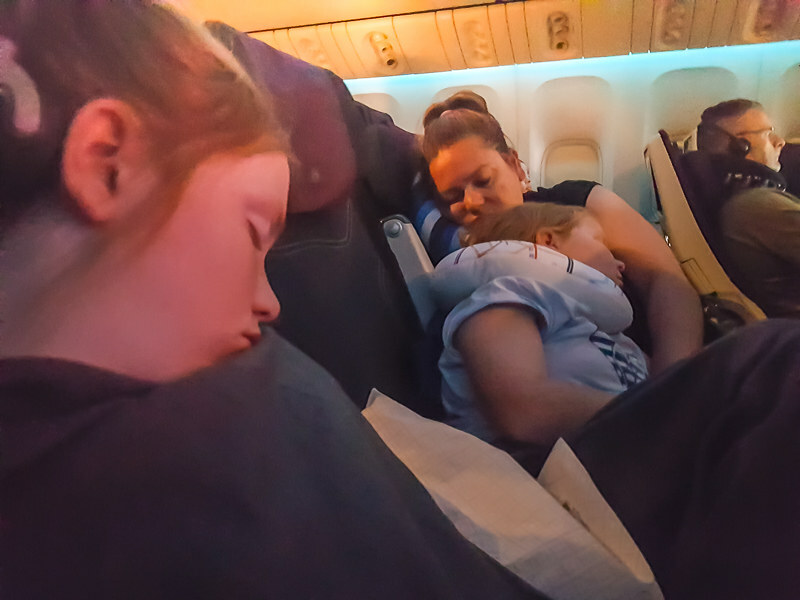 In all flying Qatar Airways with kids, we went on 3 different aeroplanes The Boeing 777, The Boeing Dreamliner 787 and an Airbus A320. 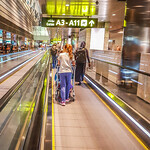 Qatar Airways have short stopovers in Hamad International Airport, Doha. This moves you and your kids on to your destination quickly which we loved. We experienced transit time of under 2 hours in both directions. This is great when flying with kids because it cuts the downtime you spend in the airport. The downtime can be a killer if you transit through airports that don’t have child-friendly facilities and for long periods of time. After you have booked your Qatar Airways flight the companies website makes it ultra easy for you to log on with your booking reference and select seating and the meal options for kids and adults. Just remember if you don’t order a Qatar airways kids meal your children won’t get one of the excellent Qatar kids packs. The configuration of the 777 is 3-4-3 model 3 seats by the window 4 seats across the middle and 3 seats on the other window. The 777 in Economy class is the best I have ever been on. It just seems spacious for an economy class. The seats were amazingly comfortable and spacious for economy class and the seats were great for sleeping in. Being a family of four flying we were seated in the centre section of the plane. The armrests were adjustable between seats giving the adults more room and letting the kids sleep easily by resting their shoulder on you. If you are flying Qatar Airways with infants and babies make sure you request a bassinet at the bulkhead seats. This will give you an added bit of room to let bub sit down or have a little area to sit if they are able. I suggest for the adults flying Qatar to sit on the aisle this allows you to stretch your legs out more. 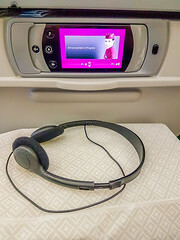 Now the Oryx One on-demand in-flight entertainment system has up to 3,000 options to choose from, including the latest blockbuster movies, music, games and the map channel that I love so much that tells you time to destination. Like all long-haul airlines, you each get an individual screen in the back of your seat. It was refreshing to see an airline with a dedicated channel for young kids. The Qatar kids channel contained movies, tv, music and games. There were dedicated Star Wars, Avengers and Disney channels. Put it this way, it was enough to keep our kids entertained when they were not asleep or playing with the Qatar Airways kids packs, which is a really hard thing to do with our two. The kid’s packs on Qatar consisted of two different types. There was a Monopoly pack and a Game of Life pack to keep the kids entertained. Both the girls loved these and they got well used. Qatar Airways child meal was excellent! 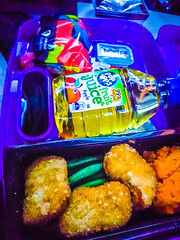 The kid’s food on the flights was delivered by the smiling staff prior to the commencement of mealtime for the adults. 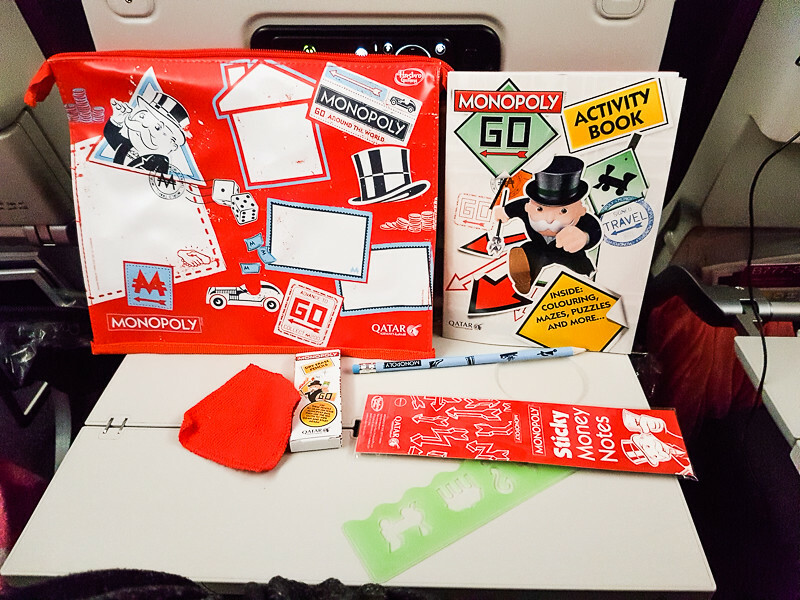 The Qatar Airways kids meal were delivered in a great Monopoly styled lunch/dinner box. We kept two of the lunch boxes to use when we got home (We used one of the boxes to hold breakables in our luggage when we were travelling around Europe and it was fantastic) The boxes came in red and green. They were placed in front of the girls open with food in both of the sides. Both the girls are severely fussy eaters and meals on planes really stress me out but I think Qatar Airlines have really thought this through. All their meals had both something they would like and something they needed in them. The chicken nuggets came with some vegetables and so did the hot dogs. The pasta dish was a really good size with only a small amount of veggies in with it on the side. The meals also came with fresh fruit, a bread roll or croissant, a yoghurt, a yummy dessert and a juice box or water. It really depended on the time the meal was being served as to what exactly came out in the box. I think with one lunch they even had a small packet of chips which they really loved. If there was something they did not want to have straight away the cabin crew were more than happy to take it and keep it for us if it was not something I could keep on the backs of the chair. 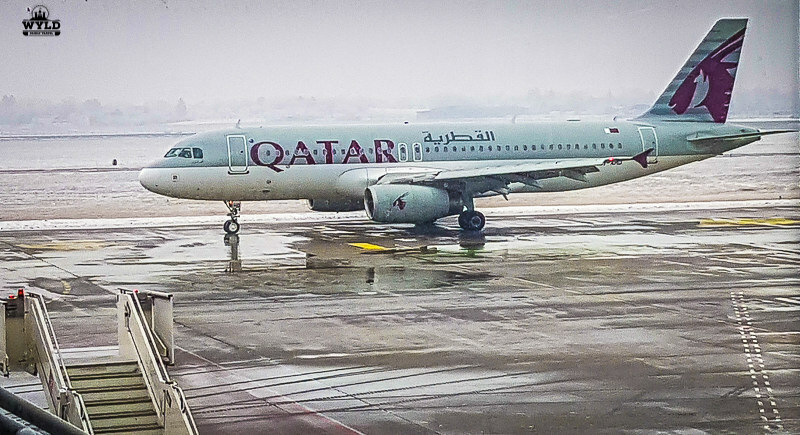 What else makes Flying Qatar Airways with kids so good? Flying with kids of any age can be an absolute nightmare at times. The cabin crew were magnificent on the way over and on the way back. They could not have been more welcoming and efficient on the flight and this was more evident when Marley got a bloody nose. The cabin crew were on it straight away and as it progressed into the longest nose bleed ever their professionalism absolutely shone to a worried and stressed mum. Once the bleed stopped they constantly checked on us and Marley even bringing her a drink and a small treat to get her calm again. They did not forget her sister either and bought her the same so there were no arguments. The amenities pack is brilliant. you are given a face wipe when you get on the plane but the little pack is a winner in my eyes. There is a little face mask that the girls loved, some socks, earplugs and a little toothbrush with some paste which made mum very happy. The toothbrush really came in handy after the nosebleeds as well for Marley. We didn’t use the socks from our packs until later in the trip when we had mysteriously lost a pair! The blankets and pillows just seemed fluffier and firmer than ones I had used in the past. The blankets seemed larger and covered more of us and the girls. We also asked for another pillow at one stage as Marley was laying on me and I was slightly uncomfortable. It was absolutely not a problem to get us another one. All in all flying with kids on Qatar was a very pleasurable experience. As we have said the in-flight entertainment was the first rate, the food was good and plentiful and the chairs were comfortable especially on the 777. I was in all honesty not so impressed with the comfort of the 787 Dreamliner seats. They were more of a budget- short-haul standard. We had to fly for 7 hours on the Dreamliner which I would not call short haul. The Dreamliner is excellent for its noise reduction and making you feel like you are not even on a plane. It has ambient blue windows that set a peaceful tone for the flight. The Dreamliner is configured 3-3-3 for seating. 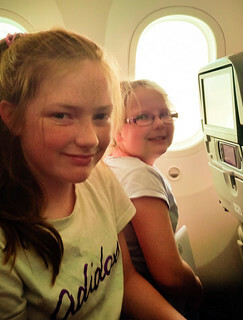 This meant the girls all sat on the window side and I sat in the centre of the plane The Airbus A320 had a seat configuration of 3-3. Once again the 3 girls sat on one side and I sat across the aisle. The Airbus was the smallest plane we went on but still, the seats were more comfortable than the 787 Dreamliner. We found Qatar’s service, meals and entertainment to be standardised across the fleet and at a very at a high standard. Wyld Family Travel will have no hesitation in flying Qatar Airways with kids again. Maybe for the first time, ever I may choose Qatar over a cheaper rival to the same destination because we were that impressed with Qatar Airways. Great tips. As a new traveling mom, it’s always good to read about airlines doing a good job accommodating children. Parents rooms are a must, I can imagine the ones at Doha must be nice! So, can I sign up to be a kid next I’m on Qatar? I would love those games and chicken nuggets…I just saying! Looks like you had a great flying experience with them- or can make such a difference to your holiday! Those kids packs and meals look awesome. They were certainly feed well Marianne as were the adults, i maybe one of the few people that loves airline food? Look at those kids! They do look happy! That’s what shows that Qatar gives the best service. Qatar airways is known for their remarkable service. I am glad you had a great time flying with them. Sounds good! I don’t have any kids but this seems like a great airlines to fly with kids. Will need to let all my mother friends know. Great tips. 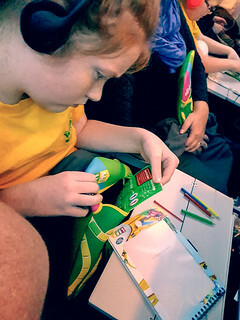 Its difficult to travel in long haul flights with kids. They tend to get cranky to be seated in the same place for a long time. But with all those entertainment, games & kids meals the situation is manageable to a great extent I guess! I’ve heard a lot about Qatar Airways. However, I myself have not traveled on QA. I also know they offer a lot for kids too. For me to travel on QA is like Calgary to the USA to Doha to Delhi and back which is like 32-hour journey. From Calgary, I can go to Europe and Delhi in like 19 hours. Therefore, I can’t fly on QA, even if I want to. But I am happy that you guys enjoyed the trip. Haven’t travelled yet in Qatar airways. But my friends tell me it is amazing. And your post shows that too. Really good amenities. Next surely will prefer Qatar airways. 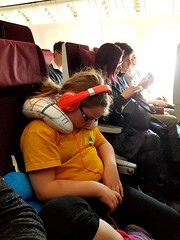 Having recently travelled with my niece and nephew we know exactly had hard it can be – I love the entertainment sytems you have mentioned, that alone could keep them interested for an hour or so and the kiddies meals look great. Hi Tamason. They didn’t have kids meals in the places we stayed but they would be a fantastic idea! The places we stayed just had very basic meals that both the girls could eat. Thanks so much for leaving a comment. I’ve heard great things about Qatar airways. I love how they give the kids special packs to help get them through the long haul, it’s those little things that make or break a company for parents.